There's no other love like the love for a Brother or Sister. 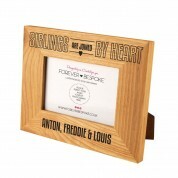 A brilliant keepsake picture frame of your siblings. 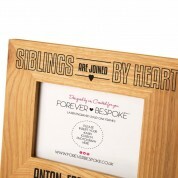 This wooden oak frame is laser engraved with "Siblings are joined by heart". It reads the sibling's name(s) and is complete with a heart motif. 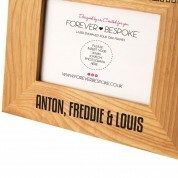 The landscape frame holds a 6 x 4 inch photo. Every frame is authentic because of the natural grain of the wood. The laser darkens the wood giving sharpness that would otherwise be lacking with standard engraving. 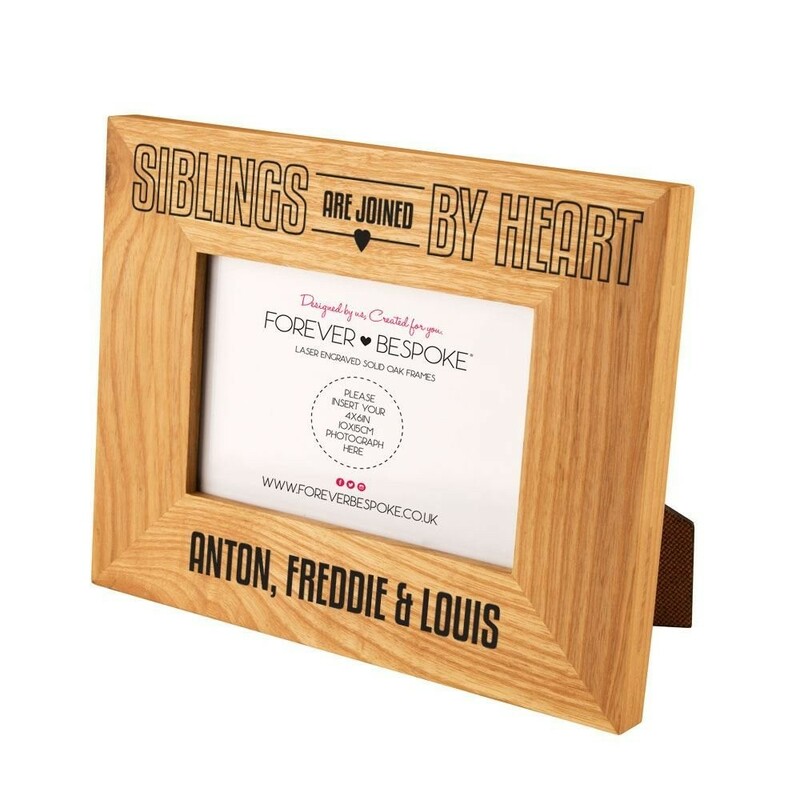 We think our quality oak frame makes a marvellous gift for any siblings wanting to showcase there favourite memory together! Weight - approx 470 grams. Measures approx 23cm x 18cm x 2cm.